Ntsiki Mkhize was crowned 2nd princess and Refilwe Mthimunye 1st princess. Meet Your New Miss South Africa, Liesl Laurie. An It Is Taylor Made semi-finalist favorite Liesl Laurie‘s life changed overnight as she was crowned Miss SA 2015. Congratulations to our country’s new ambassador. Liesl Laurie is 24 and comes from Eldoradopark a coloured community, in Johannesburg and graduated with a B.Com General Degree from the University of Johannesburg (Soweto Campus). After graduating, she decided to take the rest of the year off from university to pursue a full time career in modelling and also to embark on her journey of giving back to her community and country. 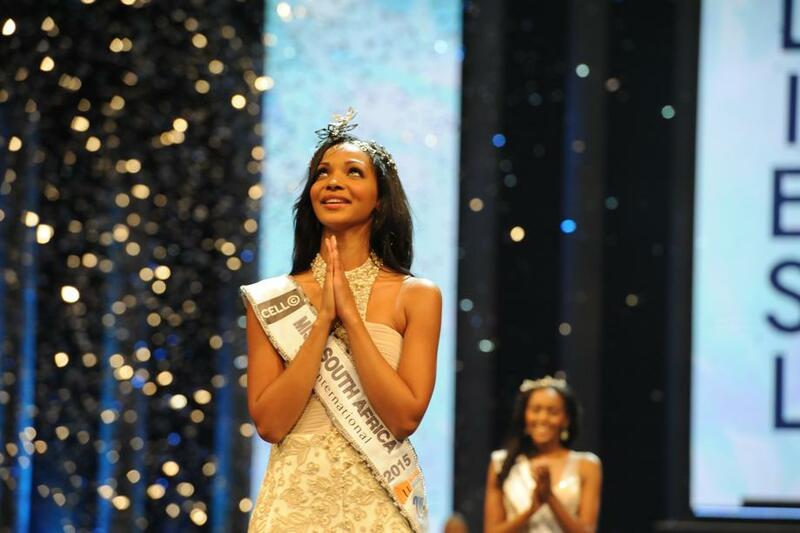 Liesl Laurie with praying hands after she was announced Miss South Africa 2015. Tansey Coetzee from Eldoradopark won Miss South Africa in 2007. Liesl Laurie Miss South Africa 2015. No one can say anything or take away something that was meant for you, wear the crown loud and proud. Congratulations Liesl Laurie miss South Africa 2015!